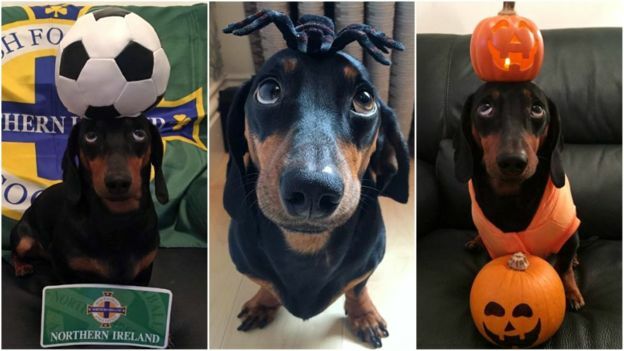 Harley is an Irish wiener dog, a dachshund from Belfast, and if you don’t know him already, you’ll likely want to look him up! He’s an Instagram sensation, well-known for his extraordinary ability to balance things on his cute, little head! Known affectionately as Harlso, he’s already got more than 5,000 followers. His owners, Jennifer Scott and Paul Lavery, discovered their dog’s unlikely skill by chance. And now Harlso has so many fans, they actually send in things for him to balance on his head! 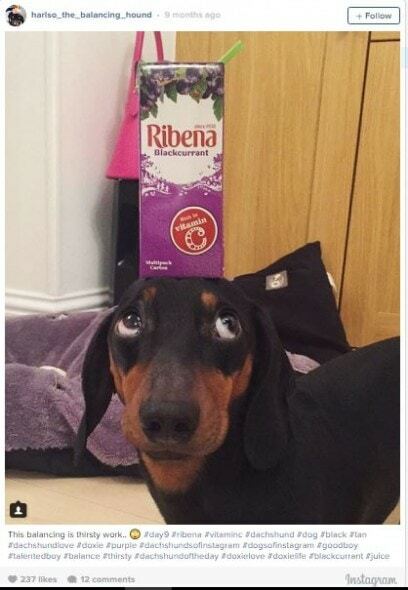 But Harley now has fans across the world who send him gifts and toys to balance on his head. 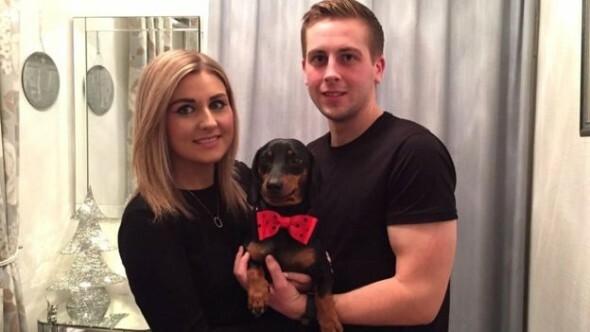 The couple is surprised and delighted at Harlso’s appeal. 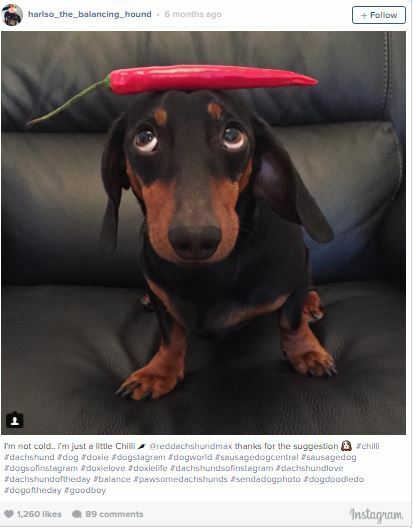 Within days, though, Harlso had roughly 100 followers and his fan base continues to swell, with folks clicking his pics from the Far East to the American west. Jen got Harley when he was four months old, the last puppy in the litter. His owners almost didn’t sell him, but she fell fast in love. His gift for balancing remained undiscovered until much later. His first item? A toy chicken! 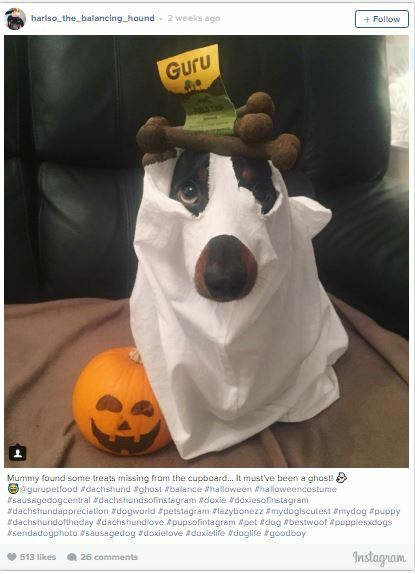 They admit they’re struggling to keep up with his popularity: “It’s all a bit of fun but it’s hard to keep on top of all the social media accounts- especially since Twitter has gone crazy.” (You can find him there at @BalancingHound. Fans send in their own balancing pics, as well; usually dogs, but the couple even received one of a pet budgie. budgie with a peg on its head. 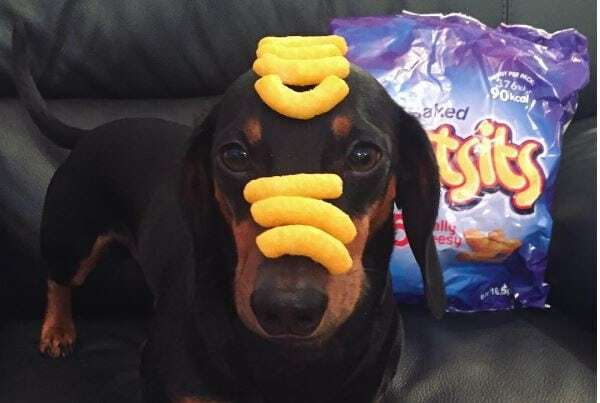 Lavery and Scott are hoping Harlso can earn himself a Guinness World Record for balancing the most treats on a dog’s head. Diva Dog Demands Dessert. Your Dessert.